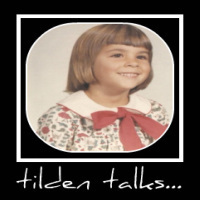 tilden talks...: Gold! Gold? Gold. My Dad was great at telling jokes and stories.One thing I miss about him is his recitation of an old poem about gold prospectors. And when I was a little girl, one of my obsessions was the Klondike Gold Rush. I would sit in the library stacks reading anything I could find about gold prospectors, the Chilkoot Pass and Dawson City. Now that I'm older, I consider gold differently. I no longer wish to travel to the Klondike to prospect. But I do like the idea of Gold Buillion Coins. Gold buillion is minted for investment and collection. People have been hoarding gold for thousands of years as a way to hedge against poverty and financial crisis. Gold is a sound investment and recognized across the globe as a means of trade. Tangible assets such as gold are safe and profitable. You can even add gold to your IRA. A Gold IRA can reduce the volatility of an investment portfolio by increasing returns without increasing risk, or by reducing the risk without reducing the return.Gold is the ultimate asset and the purest form of money. It cannot be devalued, has no interest rate and has survived every economic crisis. Buy Gold. It's easier, safer and quicker than prospecting in the Klondike. My step-mom used to horde silver, and I worked for a fellow who had a dozen coffee cans in his closet all filled with exotic coins, most of which were solid gold.